Gem Hunting: Where to Find Gemstones in the U.S. There really is something about gemstones that sets them apart from all other pieces of jewelry. They are precious in so many ways, both from aesthetic and energetic points of views. It’s truly challenging to describe their impact in words. Little do people know that there are quite a few areas where you can hunt for both precious and semi-precious jewels in the United States. We have decided to make a list with some of the best places for gem hunting, so you can discover where to find gemstones in the US. Consider this as an unconventional family trip with your loved ones and have fun and best of luck! Opals are stunning stones that you can dig up yourself in three different states in America: Nevada, Oregon and Idaho. In Nevada, you can check out the Royal Peacock Opal Mine or the Bonanza Opal Mines in Virgin Valley. 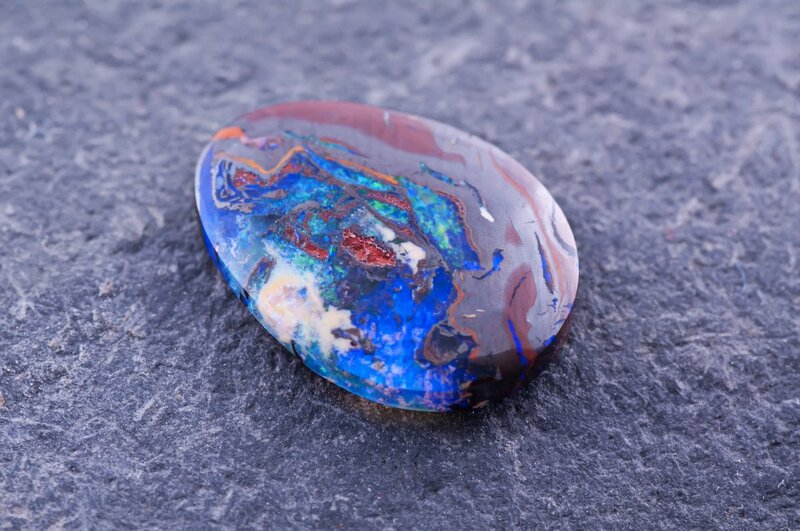 They are home to black fire opals that are really a sight to see. You can also mine for various fire opals in Oregon, as well as thundereggs and sunstones. One of the best places when it comes to finding natural gems in Idaho is certainly the Spencer Opal Mine. Be patient though, the road to finding opals in a mine could take a while. Nonetheless, it is definitely worth your time in the end. 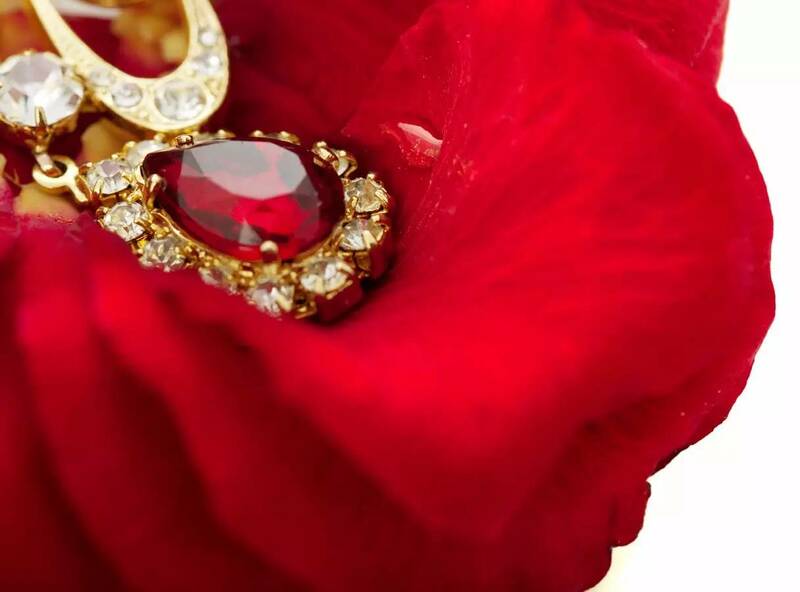 Rubies are some of the most prized and beloved precious stones out there. They stand out through their rich red hue and their rarity on the market. One of the only places where you can find rubies in the United States is in the “Gem Capital of the World”, Franklin, North Carolina. The small town houses quite a few ruby mines, such as Cherokee Ruby Mine, Mason Ruby & Sapphire Mine, Sheffield Mine or Ruby City Gems & Minerals. Most of these businesses are founded and ran by families and offer very friendly service. Our next pick on our list of where to find gemstones in the US is jade. Jades are known for their lovely shade of forest green and their energy healing properties, among other qualities. If you are in California or are planning to go jade hunting there, you can enjoy a memorable experience at the Jade Cove Beach in Big Sur. Wyoming is also an excellent choice if your mission is to find jade. This state was so famous for its source of jade that it was once regarded as “The Jade State” in the 1930-1940 period. Alternatively, you can check out the Cascades, beaches or the Peshastin Creek in Washington to try your luck at discovering jades. Like we said before, Franklin, North Carolina, really is one of the most mind-blowing towns in the United States when it comes to hunting for gemstones. Emerald can be mined in places such as Hiddenite Gems Emerald Hollow Mine or Emerald Village. It is said that some of the rarest and largest emeralds can actually be found in North Carolina. 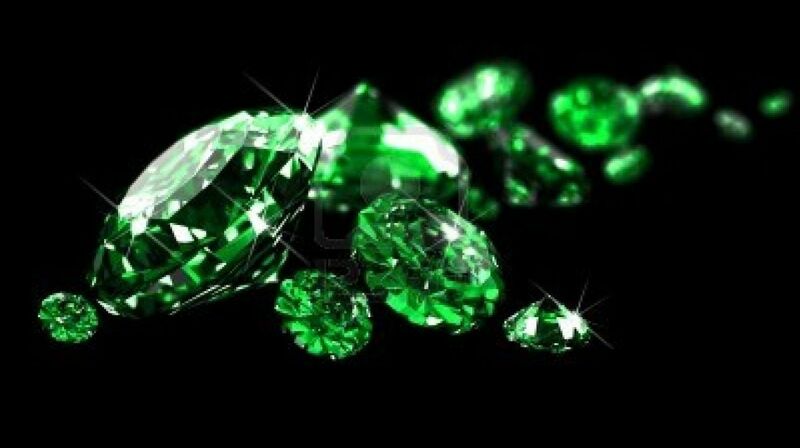 A famous discovery took place in 2009, when Terry Ledford found an astonishing 310 carat emerald that came to be known as the “Carolina Emperor”. The piece is regarded as “the largest cut emerald ever found in North America”, according to CNN. Next on our list of where to find gemstones in the US is the gorgeous turquoise. The birthstone of December is so unique that it actually had a well-known color named after it. Turquoise can be mined in America in States such as Nevada, Arizona or New Mexico. There is an overwhelming amount of turquoise mines in Nevada, such as the Zuni and Papoose mines (Austin), the Blue Jay Gem Mine, the Blue Gem Mine, the Turquoise King Mine, the Myron Clark Mine or the Sacred Buffalo turquoise mine. In Arizona, you can look for turquoise at the Bisbee Mine, the Castle Dome Turquoise Mine or the Cave Creek Mine. If New Mexico is where you are headed, make sure to visit the Cerrillos, Enchantment, Hachita and High Lonesome mines. Topaz is a gorgeous mineral that is known for its multiple varieties. The purest variety of topaz is clear, but these gemstones can also be found in shades of yellow, gray, red, blue or brown. The orange topaz is famous for being the November birthstone. Now let’s see where to find gemstones in the US. When in Colorado, you can search for topaz in the Gold Camp Road, Crystal Park, Pikes Peak, Crystal Peak, Tarryall Mountains, Devils Head or Rosalie Lobe regions. You can also find topaz in Maine, California (Himalaya Mine), Utah, Georgia (Gold ‘N Gem Grubbin’), North Carolina (Rose Creek Mine) or Texas (Seaquist Family Ranch). Like in the case of topaz, tourmaline also comes in all sorts of beautiful colors. You can hunt for tourmaline in Minnesota at the Lyle Mine in Rainy Lake. California is also a great source for tourmaline, which you can find at the Himalayan and Pala mines. You would be surprised to know that New Hampshire is home to a large number of tourmaline mines, like the Ham and Weeks Mine (Wakefield), the Turner Mine(Marlow), the Osgood Graphite Mine(Nelson), the Chickering Mine (Walpole) or the Buffum Mine (Canaan). In addition to these states, tourmaline can also be mined in Maine. Why resort to a store or shop when you can experience the thrill of hunting for these beauties yourself? Gem hunting is more than an adventure or adrenaline rush; it is a captivating experience in which you get to enjoy the discovery of gemstones on your own. Now that you know where to find gemstones in the US, it should be easy as pie to look for your favorite stones! Tip: If you’d rather skip this adventure, you can also purchase some wholesale gems and be done with it. Hey Buddy!, I found this information for you: "Gem Hunting: Where to Find Gemstones in the U.S.". Here is the website link: https://accessgems.com/where-to-find-gemstones-united-states/. Thank you.